Happy Hump Day! Today's post is all about a new product release that I'm obsessed with. 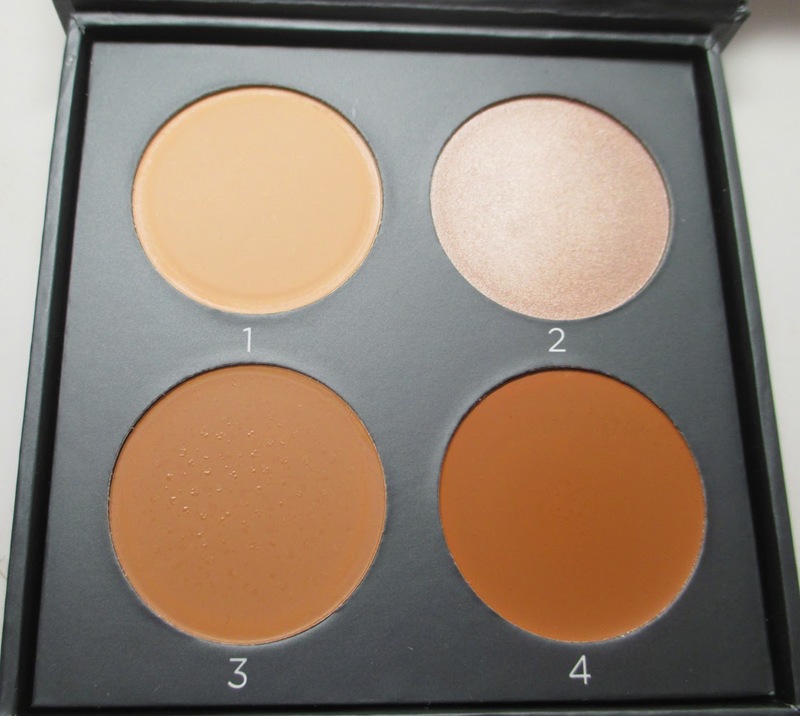 Recently, Cover FX launched their new cream Contour Kit. I've had a chance to play with it and have created a detail tutorial on how to achieve both a natural and glam highlight and contour. Check it out! I love this because I do think Cover FX is very successful at offering a variety of shades and undertones, and their foundations have a great finish. 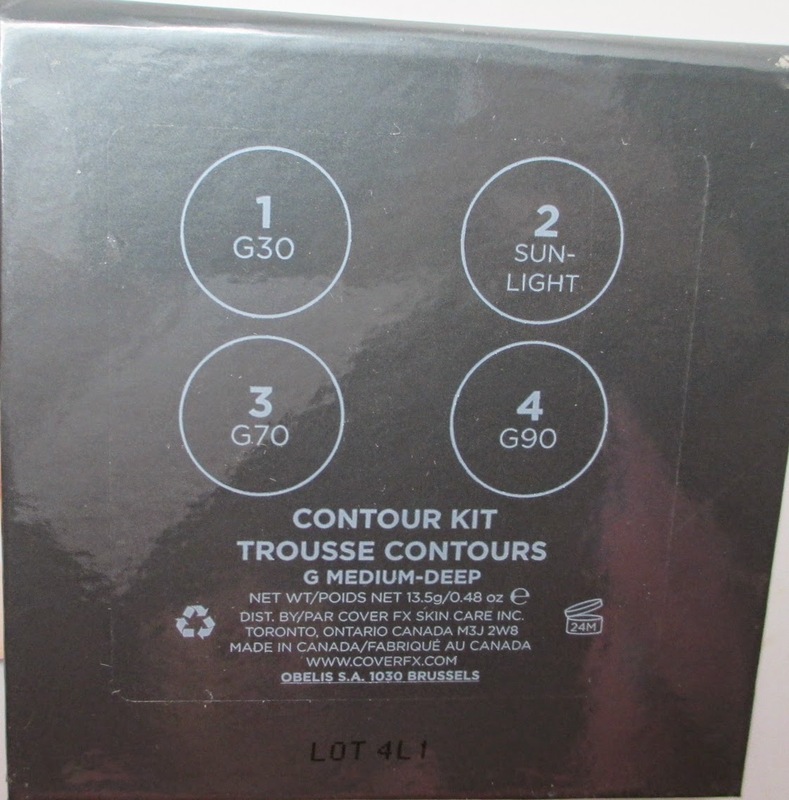 They took the formula of their Total Cover Cream Foundations (one of my fav foundations) to create this cream highlight and contour kit. There really is a shade for everyone. There are six kits to choose from that span the pink, neutral and golden undertones. I am shade G70 and I wear the Golden Medium Deep Palette. 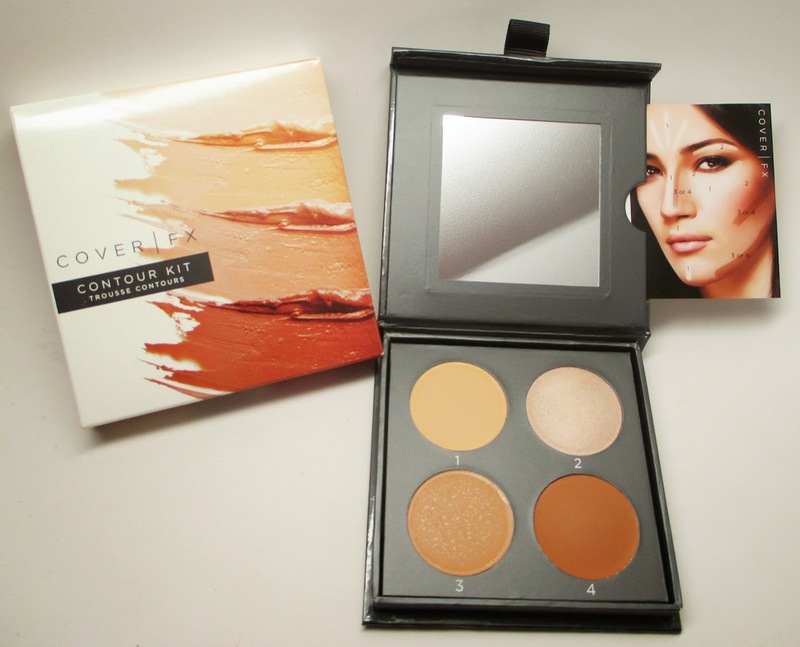 All the shades have a golden undertone which works amazing for me since I prefer a warmer toned contour and highlight. I also love that this palette can be used year round to adjust your foundation shades as you get paler and tanner over the seasons. Here's a breakdown of the shades in my kit. Shade #1 G30 is my matte highlight shade. I love the yellow undertone and the brightness it gives to my face - I apply it under my eyes, bridge of the nose, underneath the hollows of my cheek, center of forehead, middle of the chin, and my cupid's bow. 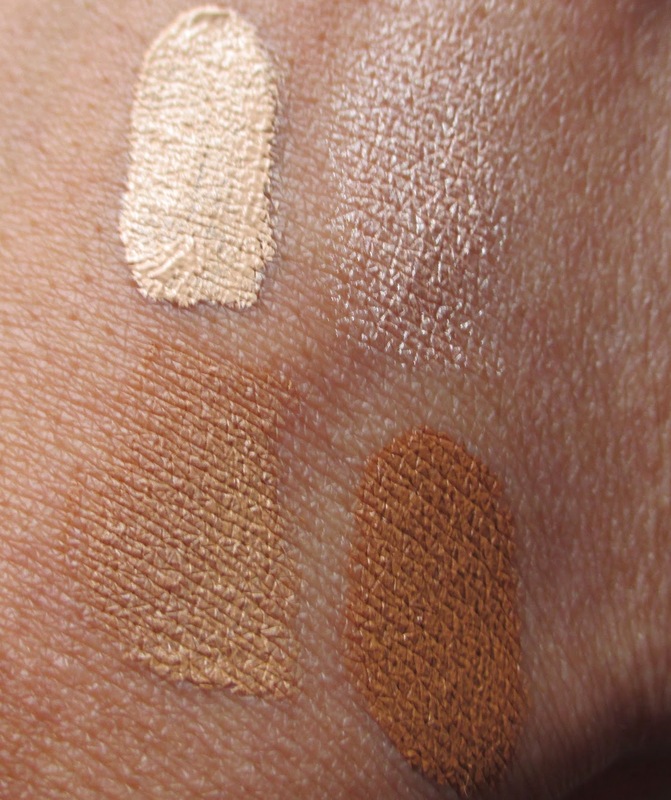 Shade #2: Sunlight Illuminator is my one of my favorite highlighter shades in a cream form. I love the champagne tone, it really does work from the palest to deepest complexions. I'm really happy they included the shimmer shade because it really does take your highlight and contour to the next level. I apply this to areas I want to glow like the cheekbones, browbones, tearducts, and cupid's bow. Shade #3: G70 is actually the current foundation shade i'm rocking. It's actually really convenient to have it in this palette so I can apply my base first before highlighting and contouring with the other shades. I also use it to lighten up the darkest shade when I want a more natural contour. Shade #4: G90 is a great contour color. It's deep enough to really bring a nice shadowing to my face but also gives me a bronze glow at the same time. 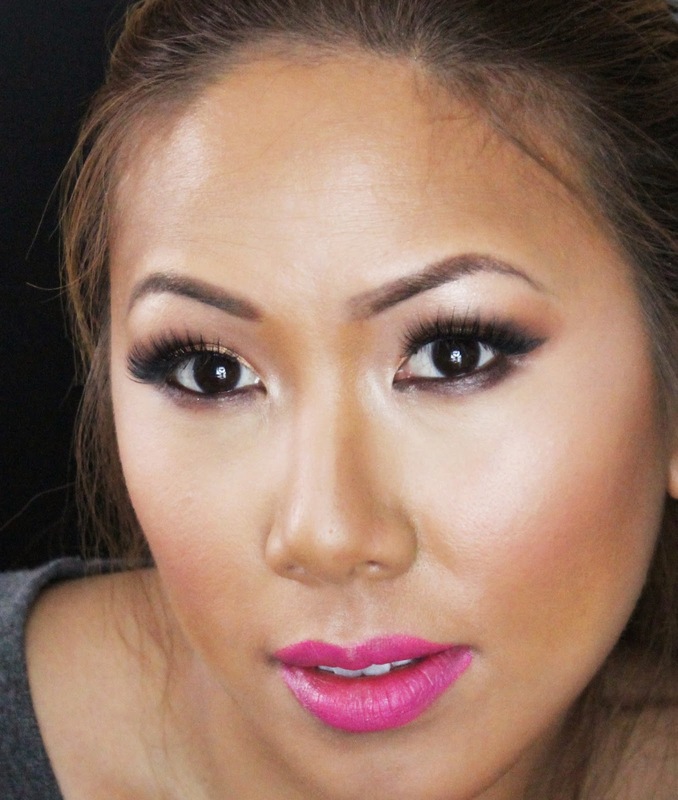 It's all about how much you apply to get either a natural or dramatic look. I apply this to the hollows of my cheek, my temples, top of the forehead, sides of the nose, and jawline. All of these shades are packaged in a convenient magentic carboard palette with a good sized mirror. CoverFX also includes a handy insert inside the mirror so you can see where to place the highlight and contour shades - even if you're a novice, after a few tries you'll be a pro. It's all about controlling how much product you apply, then blending it to make even transitions between light and dark and setting it to make it last. Cover FX also developed a new double ended brush the to work perfectly with the kit. In the end, I thought this kit was very convenient and easy to use. The foundation blends out really well. The texture lends you to build to coverage up for either a natural or glam finish. I will be definitely carrying this with me on trips as it makes the perfect all in one face kit. 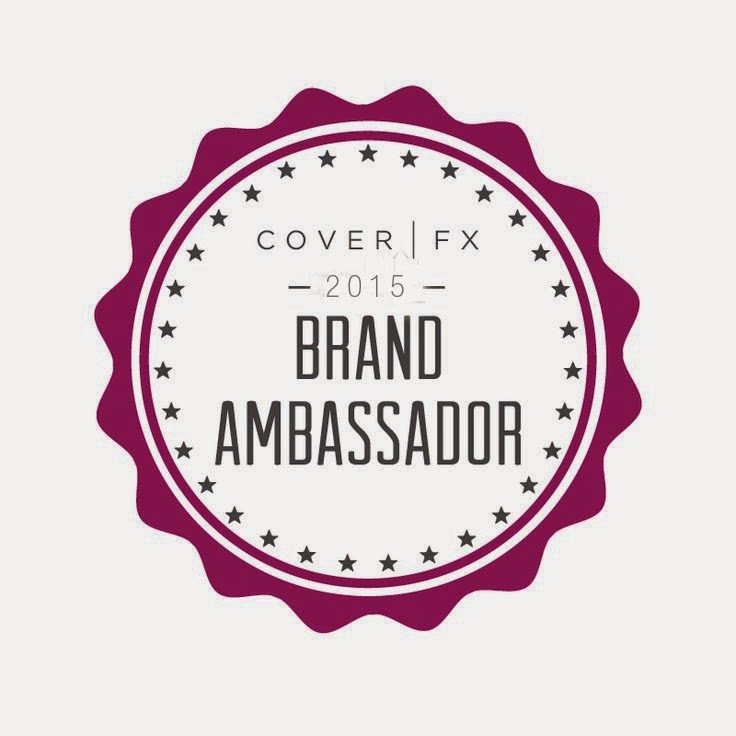 FTC Disclosure: I am a brand ambassador for CoverFX and affiliated with this company. I am paid to write this post/video. As always, this post contains my honest thoughts and opinion. Thanks for this tutorial, all i thought I have already known the basics of contouring,but with this post, you helped me a lot,definitely going to try this dramatic contour on my friends wedding this week!yay! Just catching up on your posts... I love how you did a more natural contour in your video and also the more dramatic contour. I've never done a highlight/contour look on myself before. Thanks to your tips I'll give it a try. The sign is actually created both by the people analyzer or perhaps the automatic Forex trading program offered to your prospect on the foreign exchange sign services.